Bitcoin's price slide on Wednesday is not indicating any further decrease in its value since it took place in the course of a healthy and natural correction much awaited by blockchain businesses, and was partially caused by regulation concerns in Asian markets and Chinese New Year holidays sell-offs, experts told Sputnik. On January 17, according to coincap.io, Bitcoin’s price tumbled below $10,000 and the market capitalization reduced to just $414 billion, leading to the decrease in value of other cryptocurrencies, such as Etherium and Ripple. This immediately prompted concerns of the imminent bursting of the "bubble," given that a breakthrough technology is still recognized by many as a scam. "I personally think the correction is healthy, that it’s long overdue. If you speak to people in the space i.e. I’m not talking about the traders, I’m not talking about the investors, but actually people who are creating blockchain companies, who are looking for capital, this is actually something they’ve been wanting because they were afraid that the market was getting too frothy and all the regulatory concerns, and the sell-offs, that’s just part of the natural way for cryptocurrency," analyst at Saxo Bank Kay Van Petersen said. His stance is shared by another expert, Jameson Lopp, an engineer at BitGo, a blockchain security company. 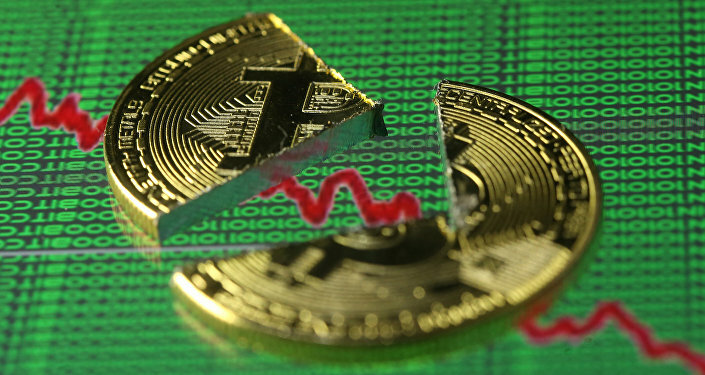 He told Sputnik that it was necessary to look into the recent Bitcoin plummet from another perspective, taking into account that it followed several months of considerable growth. "When looking at price changes I think it's better to look at them in the context of time rather than in absolute or relative value changes. Bitcoin corrected down to $9,000 [on Wednesday] which is a 50% drop from all time highs a few weeks ago, but in terms of time it only dropped back to the price that it reached for the first time in late November. And we've already bounced back up above $11,000," Lopp said. As of Friday, Bitcoin recovered back up to $11,910 while the market capitalization of cryptocurrencies rose to nearly $593 billion. According to Van Petersen, even if the world’s biggest and most well-known cryptocurrency continues to further drop in value, it would still show a considerable growth compared to the beginning of 2017. "Even if we fall to something like $5,000 per bitcoin from wherever we are today, we’re still 5x from the start of the year in January 2017," the expert said. At the same time, the recent price fall might be a positive factor for those willing to enter a new rapidly growing market, according to Lopp. "These are still the early days in terms of adoption that there are a lot of people who consider price drops to be buying opportunities, thus there is a lot of support that will mute the harshness of the corrections," the expert said. Furthermore, Bitcoin’s fall on Wednesday could have been sparked by growing uncertainty about mining and exchange regulation in Asian markets, particularly in China and South Korea. On Monday, media reported that Chinese authorities were considering further reinforcement of its regulation framework banning both domestic and foreign cryptocurrency trading platforms in the country, several months after Beijing’s crackdown on initial coin offerings (ICOs) in September. On January 10, South Korean Justice Minister Park Sang-ki said that the government was preparing a ban on cryptocurrencies exchanges and trading platform, which led to heated debates within the country and plummet of the market globally. These factors, along with the upcoming Chinese New Year prompting the cryptocurrency’s sell-off and aggressive actions of Wall Street hedge funds investors, could have also contributed to the temporary decrease in Bitcoin value, Elad Kofman, the co-Founder and CMO of bitJob employment market powered by blockhain technology, told Sputnik. "In our opinion, the recent crash in the price of Bitcoin happened due aggressive hedging of institutional Wall Street hedge funds and wealthy investors from the Far East, combined with a natural 'cash out' that usually occurs during holidays. In addition, the announcements of Chinese regulations regarding mining, and the FUD (Fear, Uncertainty & Distress) on behalf of a Korean government minister regarding the confiscation of Crypto exchanges, drove the price down and ignited the public panic," Kofman explained. The expert believed that innovation that lies within Bitcoin and blockchain technology is far away from what is believed to be called a "bubble," and therefore the Crypto market will rise after a recent fall. According to Lopp, even though there are still a lot of people who purchase cryptocurrencies for speculative purposes, their decisions are likely to be built on a firm belief that cryptocurrencies will further develop and their use will become mainstream. "I'm sure a lot of people buy Bitcoin (and other crypto assets) for speculative purposes. But if you're speculating that it will rise in value, you're speculating that it will continue to become more mainstream. You might believe it will gain in usage as a store of value or as a medium of exchange or for other number of other reasons such as timestamping and data anchoring," Lopp said. However, the recent fall in price could serve as a sobering reminder of the potential risks of investing in a new technology, which has still got a long way before being firmly adopted worldwide, Van Petersen pointed out. "Anything that’s appreciating really fast will attract money, and people that don’t care what they’re buying into, do not know the facts, do not know the risks, and basically treating it as gambling. One of the healthier thing with this kind of correction is it is reminding people that it is still a new asset class, that there are a bit of risks involved," the expert said. 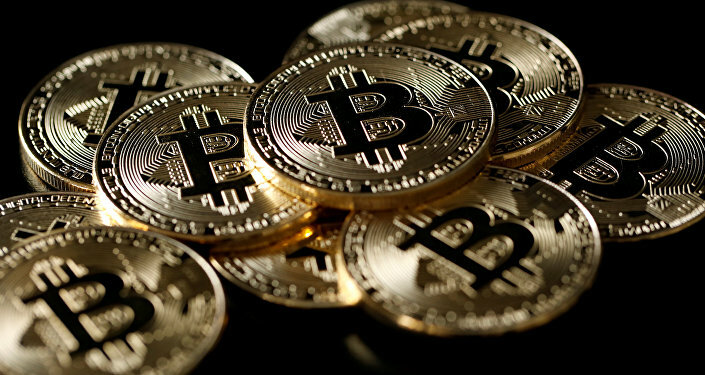 Despite considerable falls in price and uncertainty related to cryptocurrency regulation, experts were still quite positive about the future of Bitcoin and cryptocurrencies in general. "To be honest I think crypto is only going to make the system better because for once, unlike in the past, people like you and I will actually have a choice, whereas in the past you didn’t have a choice, all you had was fiat," Van Petersen said. The expert expressed an belief that the cryptomarket was likely to further develop, with the number of currencies growing to meet particular needs of customers, businesses and other market actors. "So I think we’re going to have a lot of different crypto assets for a lot of different crypto needs. Bitcoin in my view is very firmly in the store value camp and Ripple, for instance, has taken a very different stance. They’ve embraced regulators, they’ve embraced the financial services. They’re probably the most decentralized, they’re compared to other cryptos. Ethereum has taken the view that it will be the archetype for whatever you want to build in the space," Van Petersen said. The expert noted that whereas Bitcoin was unlikely to be replaced by any other currency, it could still give leadership in the market to another cryptocurrency, such as Ethereum. "I would not be surprised if the market value of Ethereum surpasses that of Bitcoin in the next one to two years. But that’s not the death knell or nail in the coffin for Bitcoin by any means, it’s just the natural evolution of the space," Van Petersen said. Digital currencies, also known as cryptocurrencies, have no material form and global currency regulations do not currently apply to them. An unlimited number of anonymous sources can issue and use such currencies. Central banks worldwide have treated the phenomenon with caution, although some have started exploring the possibilities it offers and even developing their own cryptocurrency. The value of Bitcoin, a pioneer in the cryptocurrencies market, surged in 2017, jumping up to about $20,000 in December amid debates on its reliability as an investment, but then went down.